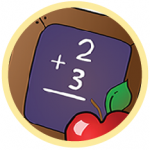 Addition quiz for 1st grade kids to practice online. 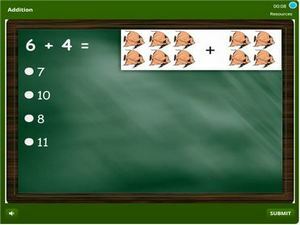 This quiz is an interactive online math MCQ based on several addition skills learnt in 1st grade. In this activity, kids will learn understanding addition, addition facts up to ten, addition beyond 20, addition with pictures, addition and making sentences, addition word problems and more. This is an interactive math test and kids will get instant feedback as they play. An aggregate of all scores will be pooled on a dash board for future referencing. Start practicing.